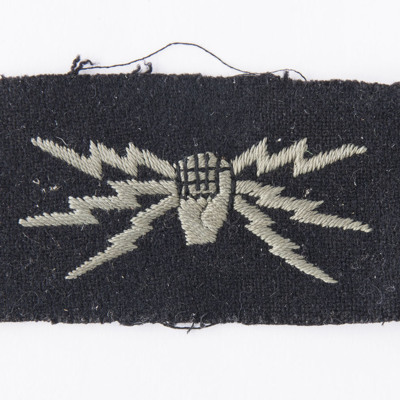 69 items. 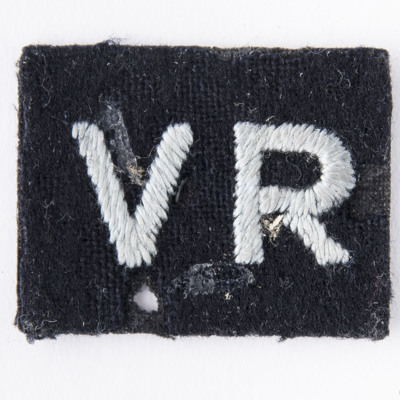 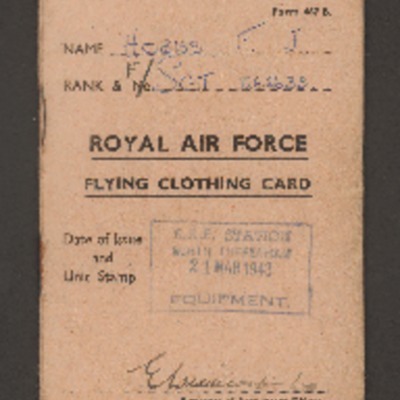 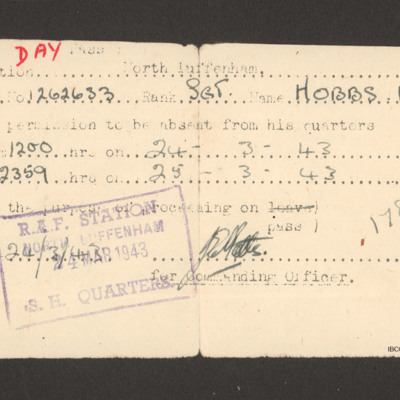 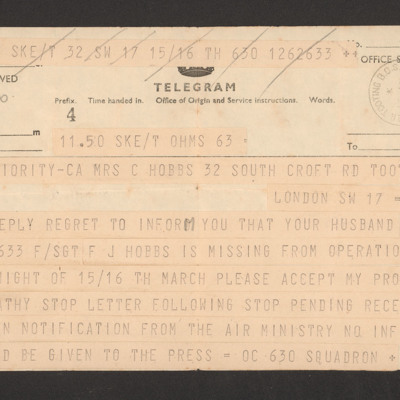 The collection concerns 1262633 Flight Sergeant Frank James Hobbs a wireless operator with 630 Squadron, RAF East Kirkby, who was killed while on operations in a Lancaster on 16 March 1944. 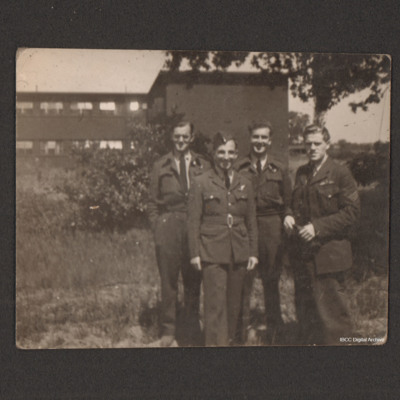 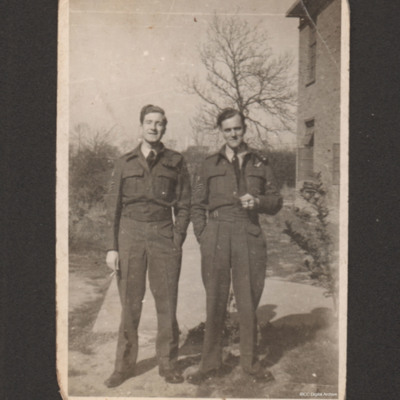 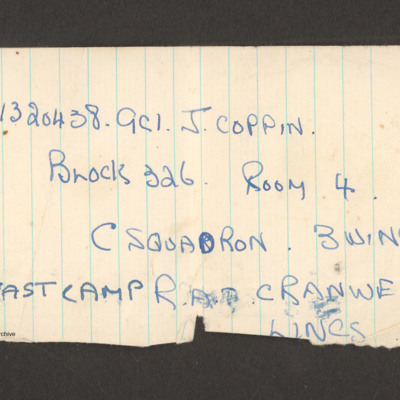 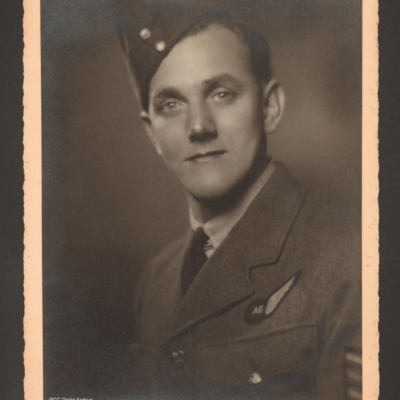 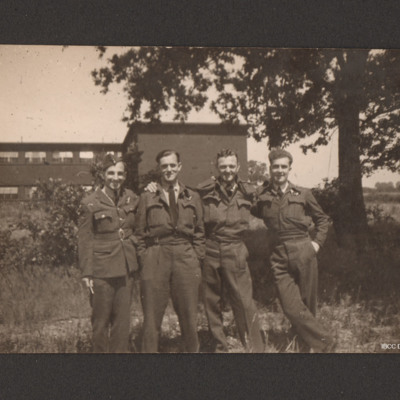 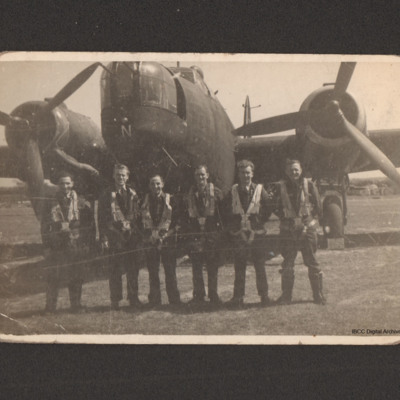 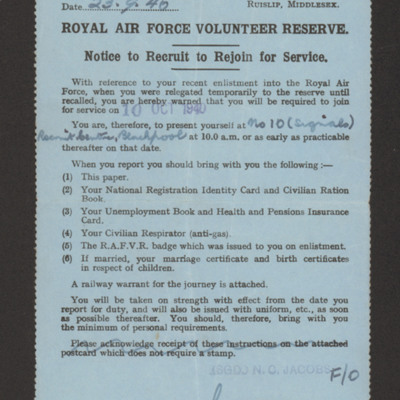 The collection contains his log book, official and family correspondence, official and personal documents, photographs of aircrew, family and his grave and some items of memorabilia. 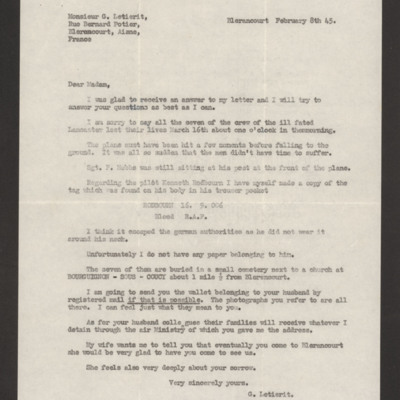 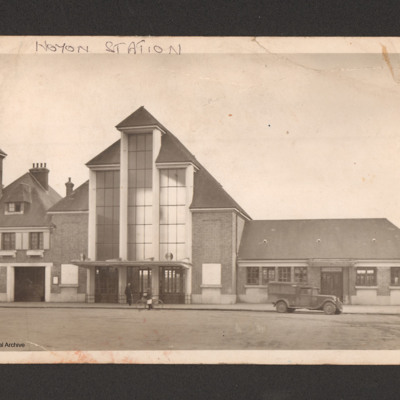 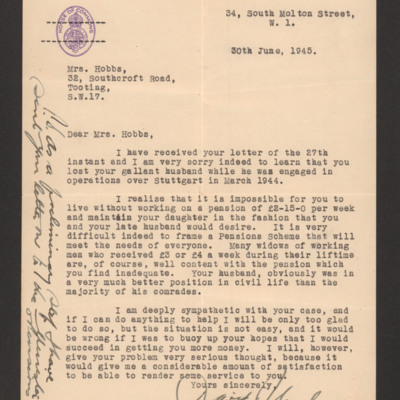 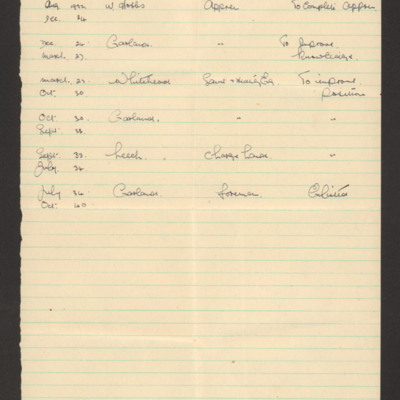 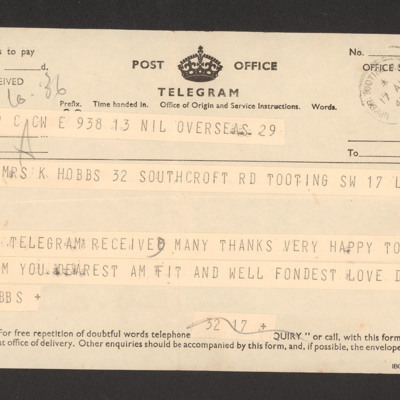 It also includes correspondence from a French gentleman who was witness to his aircraft crash and who returns recovered personal items belonging to Frank Hobbs. 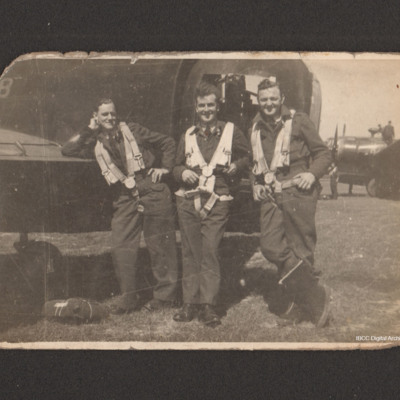 The collection has been loaned to the IBCC Digital Archive for digitisation by Barbara Storer and catalogued by Nigel Huckins. 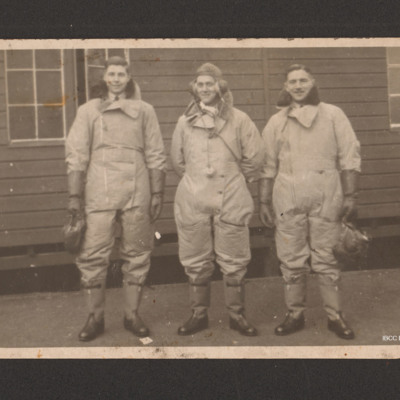 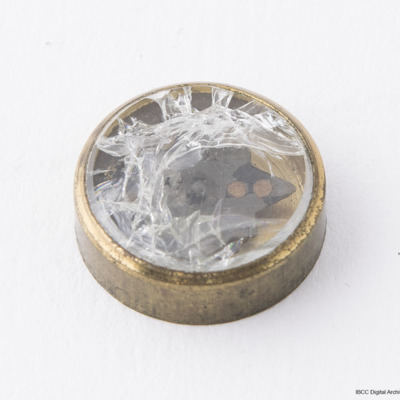 Additional information on Frank Hobbs is available via the IBCC Losses Database.